Environmental law is the legislation that operates to regulate the interaction of humanity and the natural environment, with the goal of reducing the impact that human activity has on the environment. The environment is defined as natural resources, wildlife, landscape, and amenities. Violations of environmental laws are usually considered civil offenses, and result in monetary penalties (such as fines) and potential civil sanctions or criminal penalties. The government agency that administers environmental regulations is the Environmental Protection Agency (EPA). Environmental law includes regulations and cleanup of hazardous or chemical materials. Environmental law provides both protection and consequences from / for dumping toxic waste, destroying wetlands, overusing natural resources, and wildlife protection (or lack thereof). The two general categories of environmental law are pollution control and remediation, and the conservation of natural resources. Pollution prevention has many benefits, including the minimization of health risks and the more efficient use of energy, materials, and resources. If you have a legal concern regarding environmental law, it is advantageous to contact an experienced environmental law attorney. Occupational toxic tort cases are different from workers’ compensation claims because they are brought against third parties (ex: manufacturer of chemicals) instead of against the employer. A toxic tort is a specific type of personal injury law because it involves a toxic injury. The most common lawsuit regarding a toxic injury is asbestos exposure, however can be quite difficult to prove due to the delayed onset of symptoms. Mold contamination, lead paint, and formaldehyde-treated wood and / or carpet all fall under the category of toxic tort litigation. If you suspect that your injury or claim is due to exposure to toxic chemicals, it is best practice to get in touch with an environmental lawyer immediately. An experienced environmental attorney is able to help you determine the strength of your case, and can help you in choosing the best theory of liability for your particular situation. Several states have environmental laws that are different from federal laws. If a state’s environmental laws are stricter than the federal environmental laws, then the stricter state laws must be followed. 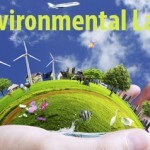 Contact LegalHelpLawers.com today to speak with an experienced environmental law attorney regarding your issue!